MySpace is an online community that lets you meet your friends' friends. You can share photos, journals and interests with your growing network of mutual friends. With Photo Slideshow Maker, you can create gorgeous photo flash slideshows, and then insert the PFM-generated flash slideshow to your MySpace blogs. 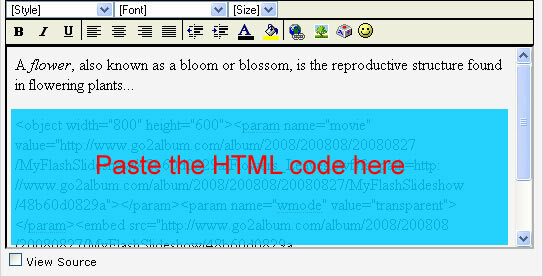 Paste the HTML code to the desired area of the blog editing field. You can preview if the flash slideshow is properly inserted. 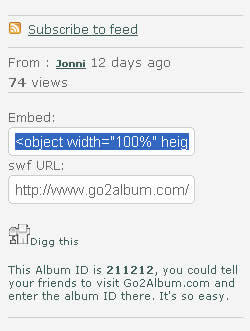 You could add several slideshows in the same page, just repeat the above procedures.